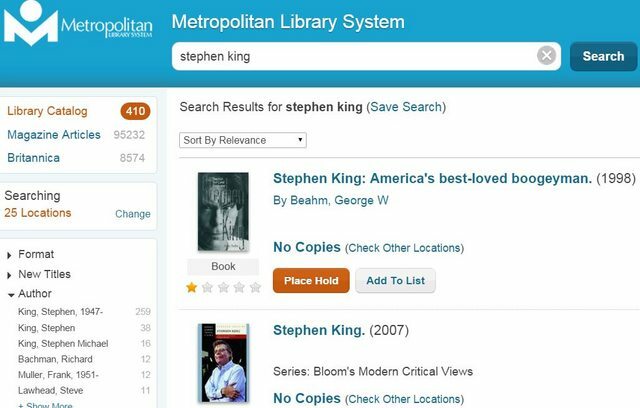 Our catalog works like a search engine: instead of applying search filters like "search by author" or "search by title" before your search, you instead enter as many or as few search terms as you like (title, author, series, etc) and apply the search filters after you search. On the search results page, use the search filters on the left side of the page (Format, Author, Series, etc.) to narrow your search results. EXAMPLE: Let's search for books by Stephen King. 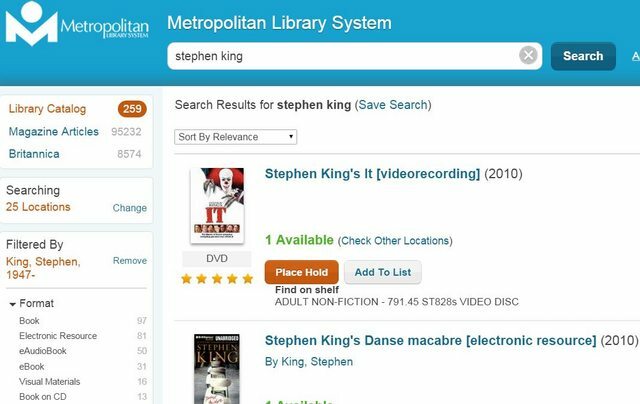 After performing a search for stephen king, there are 410 results from the library catalog. To sort your search results further, use the Sort By... drop down menu at the top of the search results.